If you are planning an April trip to Iceland, then you are in the right place, my friend, because I have the most comprehensive guide for all of the April things. Hello, Team Iceland. Welcome back to my channel. My name is Jeannie, and I am your tour guide for all of the Iceland planning things. 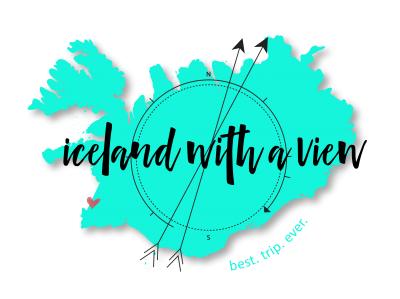 Today, we are talking about all of the things that you would need to consider in order to plan a successful April trip to Iceland, so let’s get into it. All right, so the first thing to consider are the amount of daylight hours that you’re getting during April. In the beginning of the month, you’re having about 13 hours of daylight, and at the end of April is up to 16 hours of daylight, so it’s definitely getting a lot brighter. Lots and lots and lots of daylight hours for exploring. For your April weather. April around the world is usually considered a spring month, so for these purposes, we’ll go with spring, but as I’ve said before, Iceland pretty much has two seasons. Winter, and winter-lite. I guess that April is like winter-lite, but anyway, the weathers that you’ll find in April in Iceland include wind, rain, sun, and possibly snow, so all the weathers. There’s usually a lighter spirit during April, because it’s possible that the snow is going to start melting, maybe some things are blooming. You got some maybe green grass starting, maybe flowers, but of course, you still could have a very brown landscape with snow covering the mountains. Normal April things. You always have to be prepared for all seasons. If you’re wondering what to pack for your April trip, then you can refer to my spring packing list video. Another thing about April in Iceland is that it is the very, very tail end of the Northern Lights season, so really the last time that you can see the Northern Lights is at the mid-April mark. Anything past that, it’s really not getting dark enough into the evening in order to see the aurora. In terms of sightseeing, areas that are A-okay include Reykjavik, Golden Circle, South Iceland, and the Snæfellsnes Peninsula. Areas that you have to take a bit more precaution include East Iceland and the north part of the Ring Road, and I will say the Westfjords as well. I have traveled to the Westfjords in April. However, it was still quite challenging. There’s still a ton of snow, especially on their mountain passes, and we did have some difficulty accessing certain things, because even, for example, some of the restaurants were still closed for the winter season. Just keep this in mind. You could still have pretty terrible weather in the Westfjords. Still be very, very challenging, and then again, you might have difficulty accessing certain things. For this reason, you guys, I still always, always suggest a four-wheel drive in the winter, including April. Areas that are completely off limits in April are the Highlands, Thórsmörk, Landmannalaugar, and around that area. The nice thing about April is that it’s still considered off season or shoulder season, so the crowds are quite a bit less at this time. Prices can be a little bit cheaper on things like accommodation tours, rentals, so April’s a pretty good month to travel to Iceland. Other thing that’s really cool about April is that the puffins start arriving, so at the very, very end of April is usually when the puffin will start coming back to land in order to mate and have their babies and everything like that. Be on the lookout for puffins towards the end of April. Okay. Driving the roads in April. I feel like a broken record, but it still applies. The roads can be very slippery, very snowy, possible closures, just depending on what the weather is deciding to do, so if there are storms, there could be closures. There could be difficult driving. On the other hand, you know it could be where April is starting to get really nice and things are melting, and then maybe the weather’s fine and the roads are fine. You just really, really, really never know with April, so of course, being prepared for both situations is the best way to go. Now, if you’re wondering if you should rent a two-wheel drive or a four-wheel drive for your April trip, you still have to make that decision depending on where you’re going and how comfortable you feel with those vehicles, but I made a totally separate video on this topic, so make sure to check that out as well. Lastly with driving is, I always suggest, no matter what, checking with road.is before you even head out during your day, because that can really affect your travel plans if there’s road closures or slippery roads or anything like that. Now, onto the fun events, festivals, and holidays that happen in April. As of this recording in 2019, Easter falls in April this year. Easter’s one of those crazy holidays that can either be in March or April, so definitely be aware of when Easter falls each year. Icelanders take Easter very seriously. There’s usually several days that they will take off of work before the holiday and usually at least the Monday after Easter. A lot of things are going to be closed, restricted hours and things like that, so definitely be aware of the Easter holiday. In my food video, I talk about how much Icelanders love candy, and so for Easter, it’s so fun, they go crazy with chocolates. Crazy, crazy, crazy. Oh, my gosh, so they’ll sell these huge egg baskets where eggs are like the size of your body. It’s a chocolate egg, and inside of that egg are even more chocolates and treats and everything like that, so you can buy them huge size all the way down to just miniature size, and they always, always, always have chocolates around during Easter, and they give them out as gifts. It’s really fun. Another festival that happens around the Easter season is called Aldrei fór ég suður, which means, “I never went south.” This is a really, really fun music festival that happens in Ísafjörður in the Westfjords. Local musicians that never went south to Reykjavik will be performing, and it’s such a big, fun celebration. Another thing happening in April is called AK Extreme. This is actually a snowboarding competition that happens in Akureyri, and this draws massive crowds. This is a pretty big event that’s going on in the north of Iceland, and you’ll have people competing locally or from abroad. Definitely really fun to check out if you’re into winter snow sports. If you found this video helpful, remember that all of this information and so much more can be found in my Ring Road eBook. 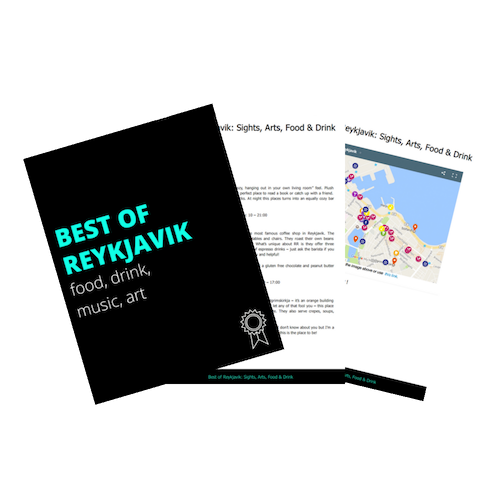 This is a completely renovated eBook with tons of new information, including all of the things that we talk about in these monthly videos, and then any other planning things that you would need in order to prepare for your trip to Iceland. All right, guys, that’s your information for all things April in Iceland. I hope you love this video. If you did, give it a thumbs up. Subscribe if you haven’t already, because hello, every week I am here with another Iceland video, so I’ll see you next week.